Grateful for any assistance people can offer on this one. I've identified him from last November's release of pension records. All the evidence, which I'll attach, shows that he died of wounds in the UK, at Chatham. Appears not to be commemorated by the CWGC. 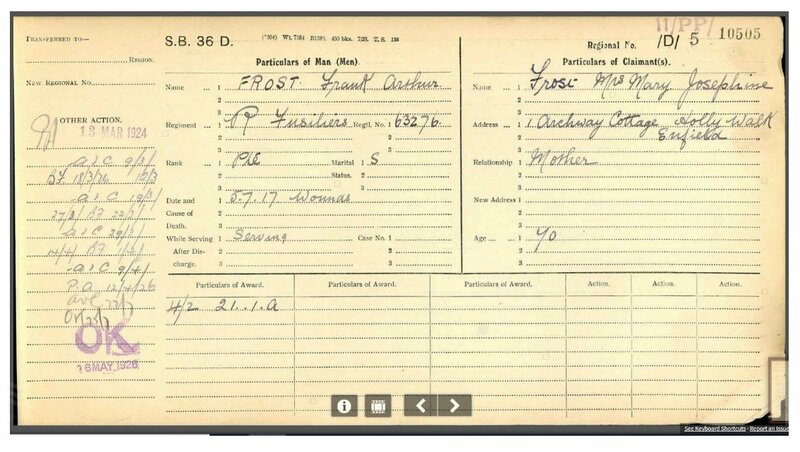 Certainly looks like he was still serving at the point of death and should therefore be eligible for the CWGC. If his case is considered his burial place will be required - IFCP will advise. Thanks, both. Always a worry that you’ve missed something when you come across one like this.